Packaging Details:25kg composite paper bag /750kg pallet. 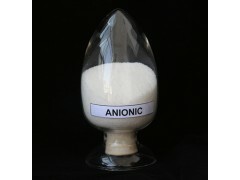 Quansen is a high-tech professional manufacturer of polyacrylamide with annual production capacity of 20,000 tons including full series of anionic, cationic, nonionic, superabsorbent, are used in drinking water, wasterwater treatment, enhanced oil recovery, mining, paper, agriculture, textitle and cosmetics. Qusen products are sold to more than 20 countries and regions home and abroad, covering the global sales network and after-sales service system.